Represent 2018 is a Queerly Represent Me's first zine supporting and celebrating queer creators. The zine contains stories and anecdotes, game reviews, art, and tabletop RPGs for you to enjoy. 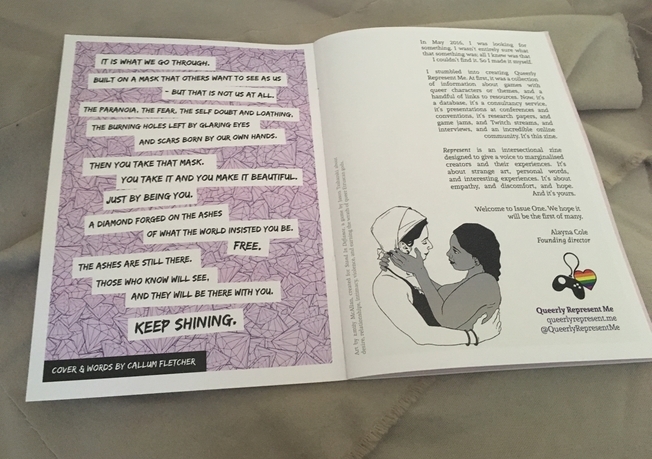 All proceeds go towards supporting queer creators and queer representation. Queerly Represent Me is a not-for-profit organisation who works with companies to consult on their games, events, and studio culture, and uses proceeds from these contracts to provide free resources and services to the wider community, particularly to give a voice to queer developers and support the creation of queer content. 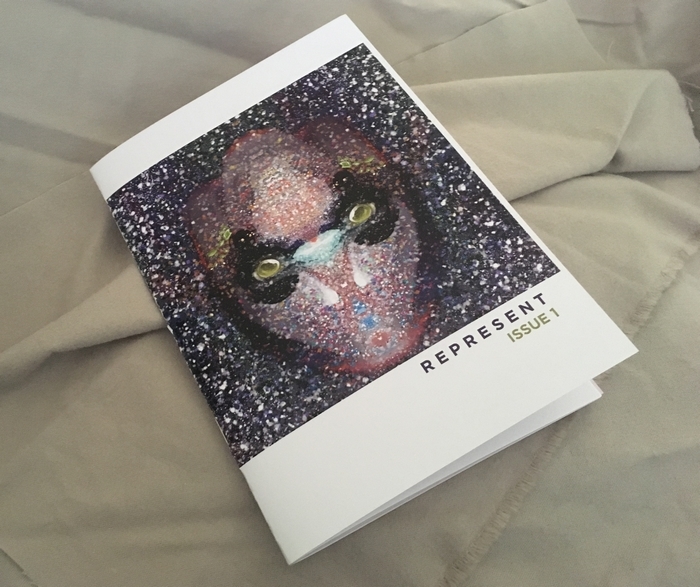 Looking for a printed zine? Buy two different versions at our Big Cartel store!